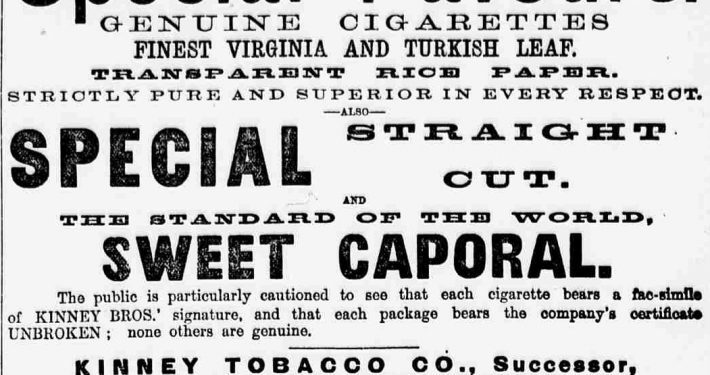 Joseph W. Stern & Co.
New York, NY. 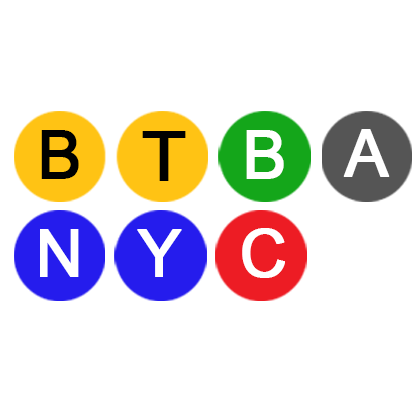 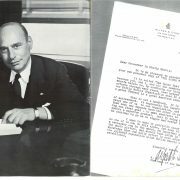 Harry Von Tilzer Music Publishing Co.
De Sylva Brown and Henderson, Inc. 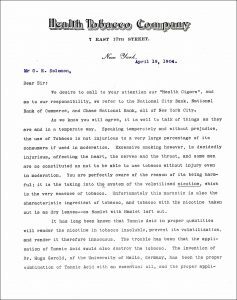 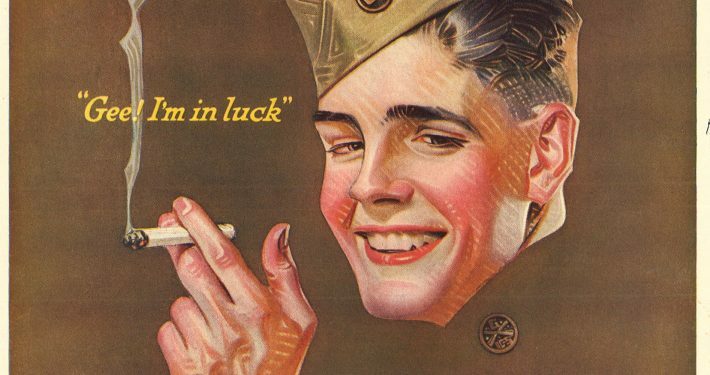 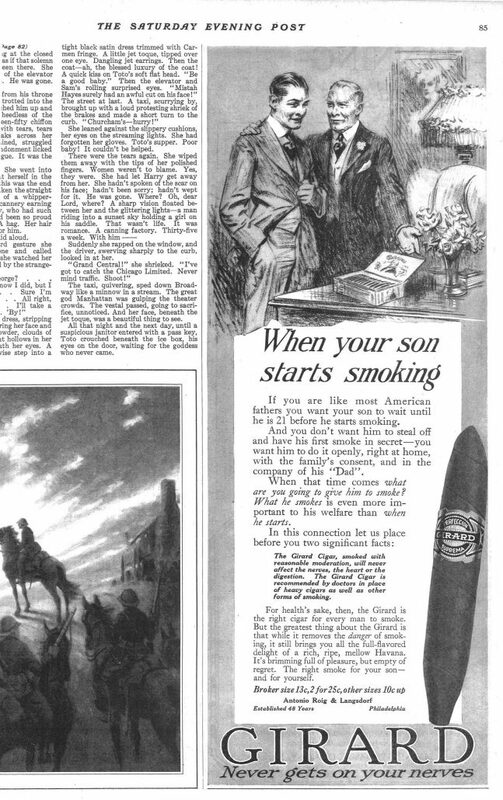 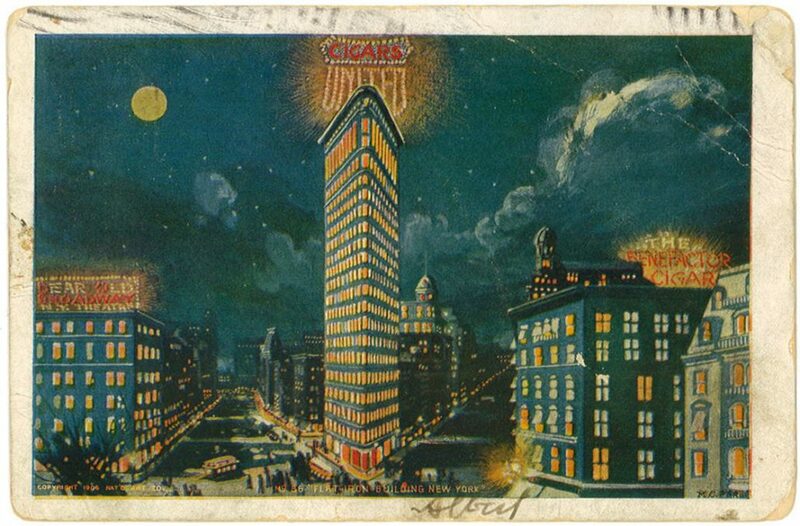 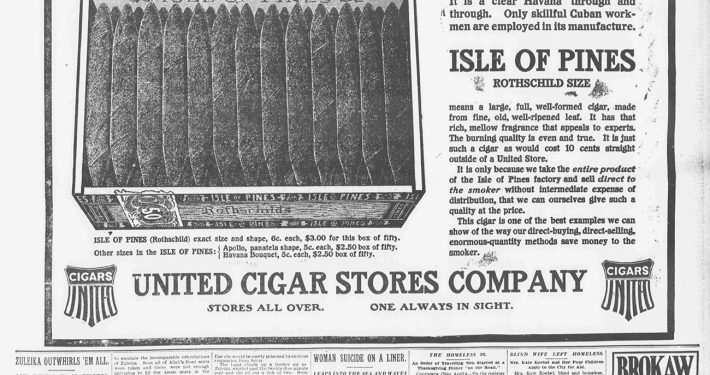 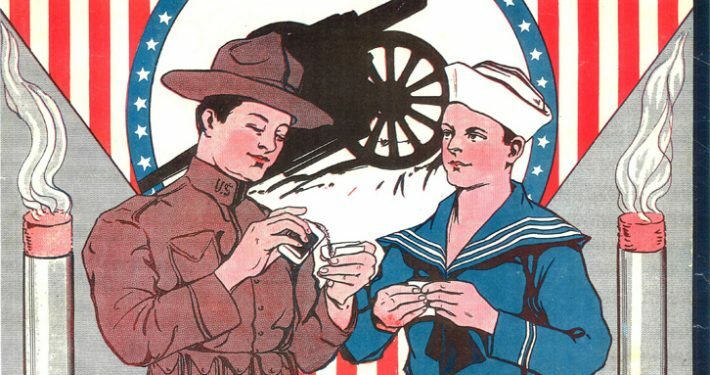 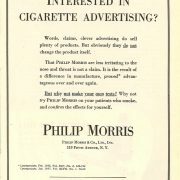 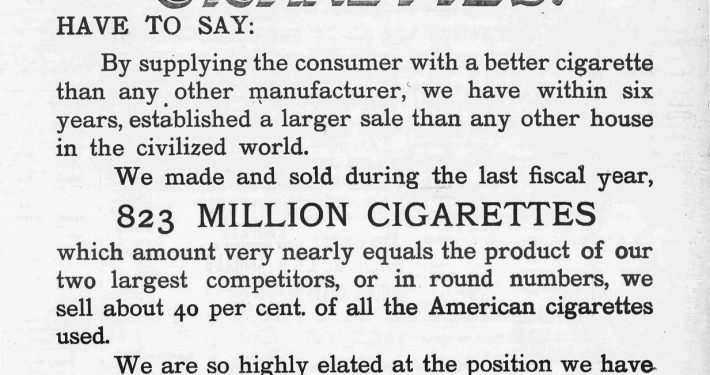 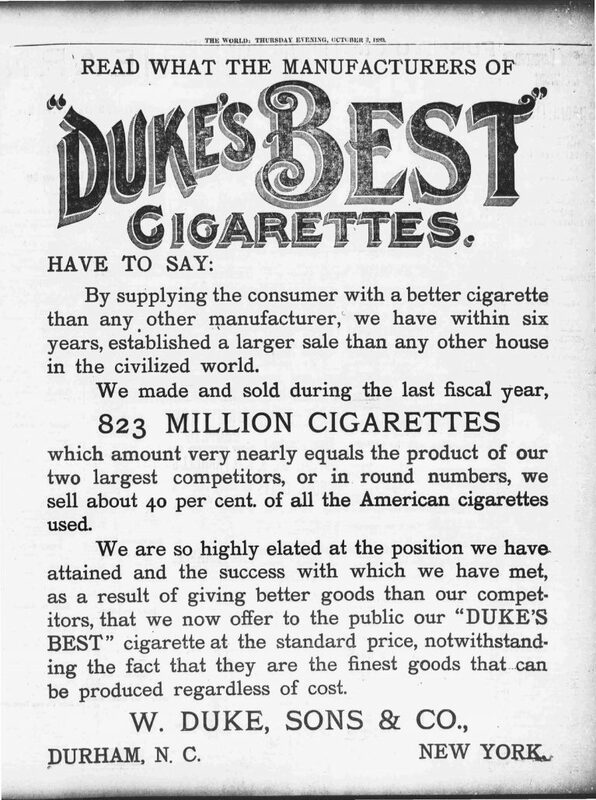 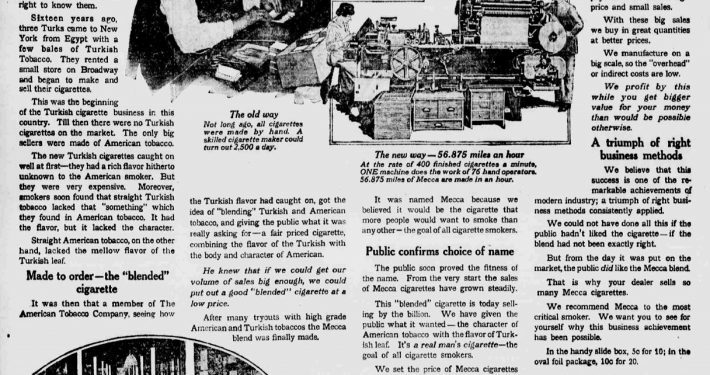 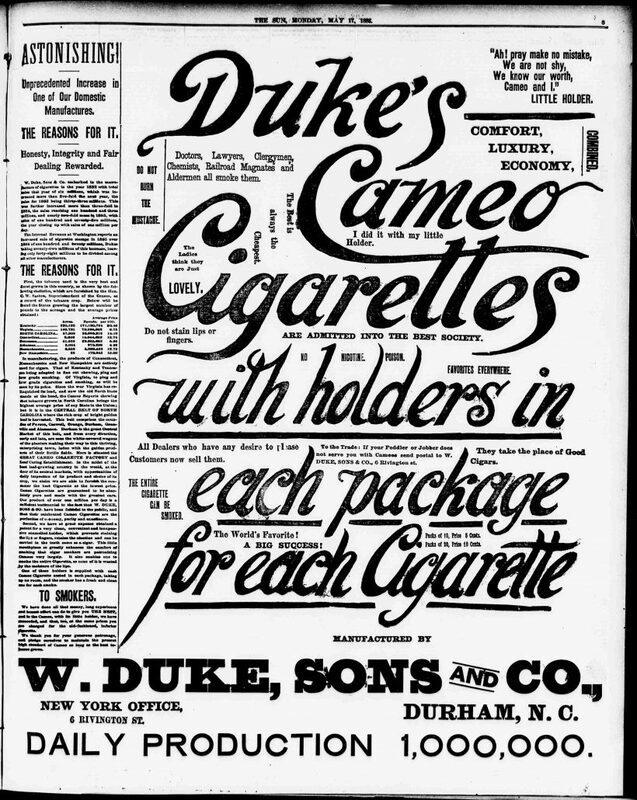 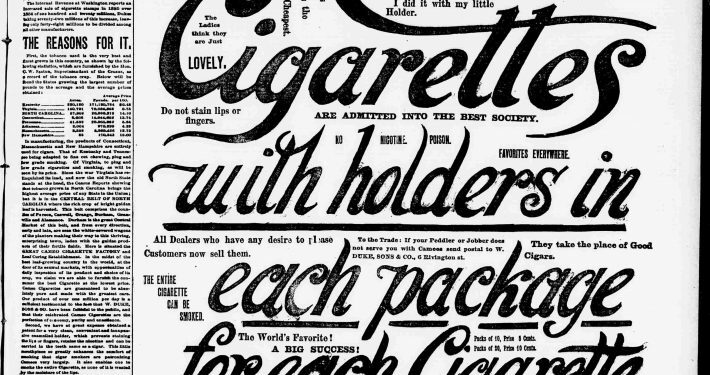 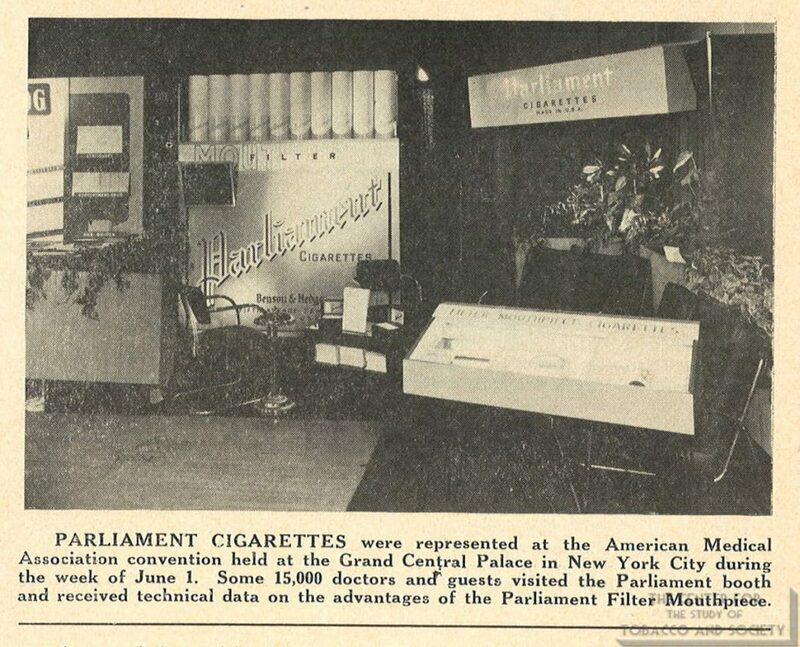 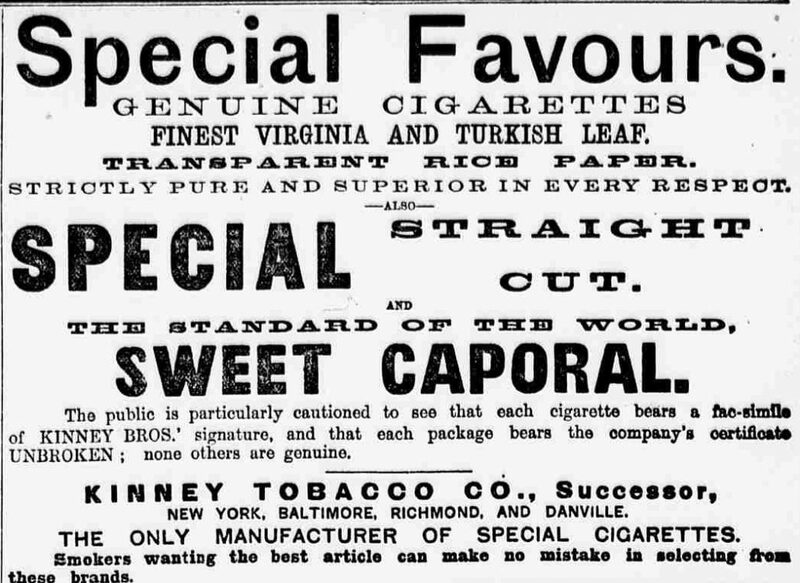 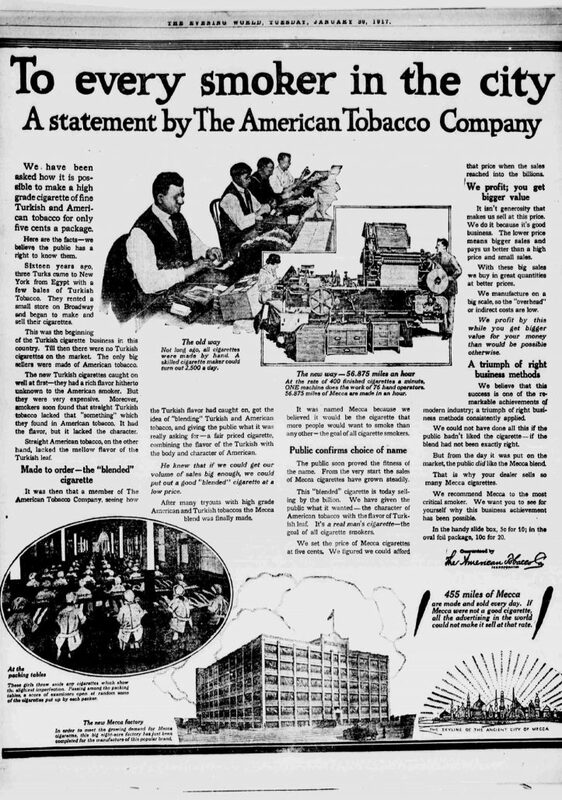 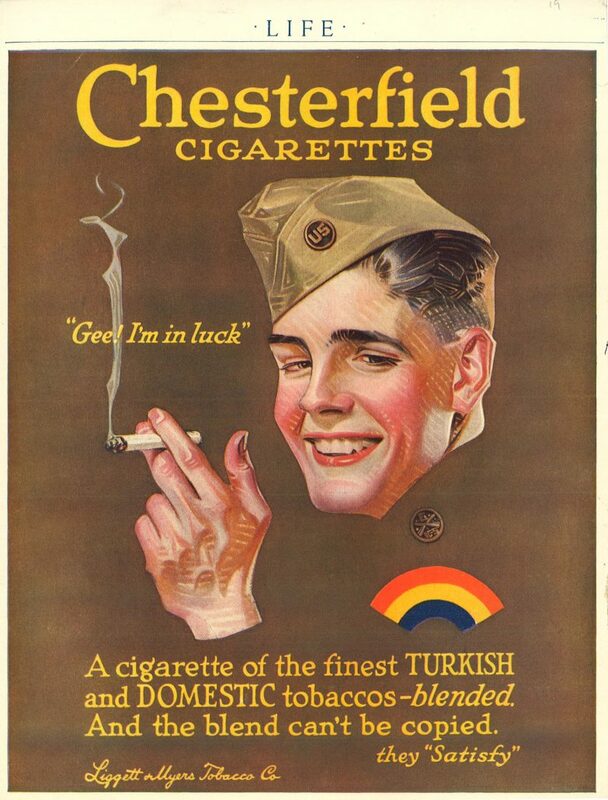 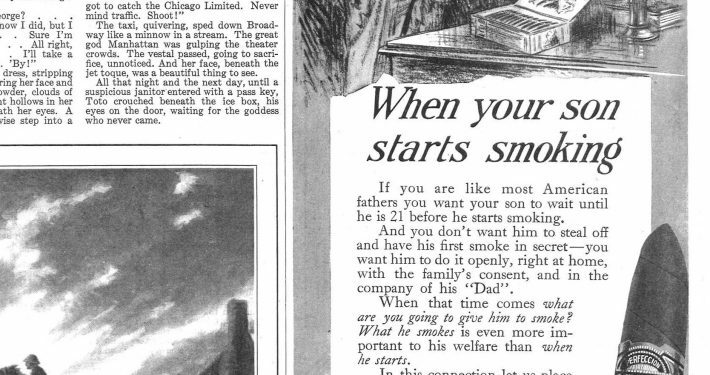 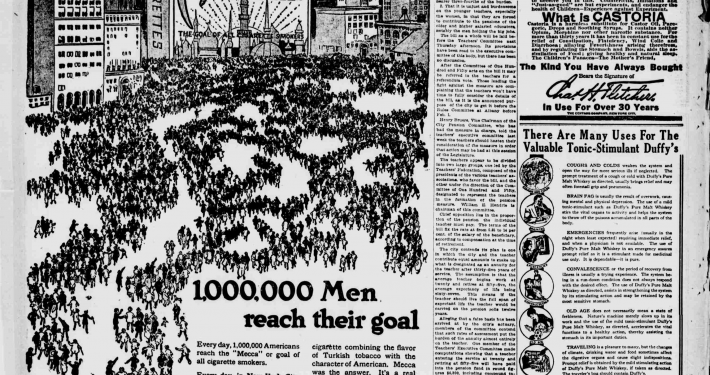 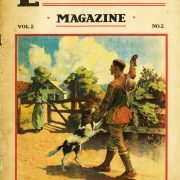 The popularity of cigarettes dramatically increased during World War I, and this was in part due to cigarettes being sent to the boys overseas. 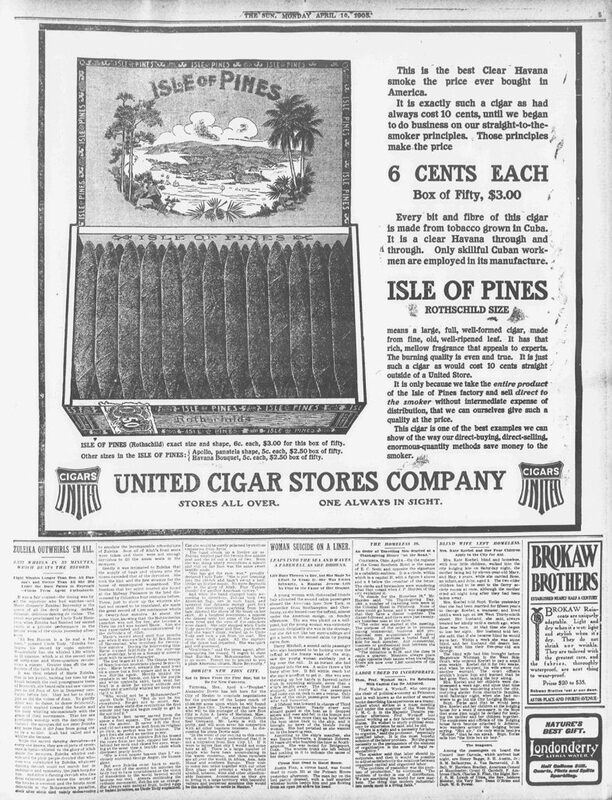 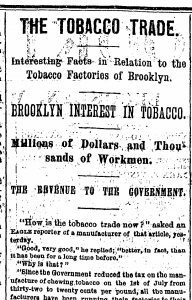 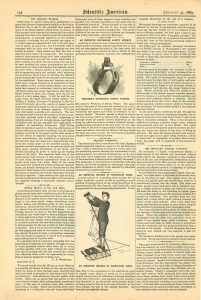 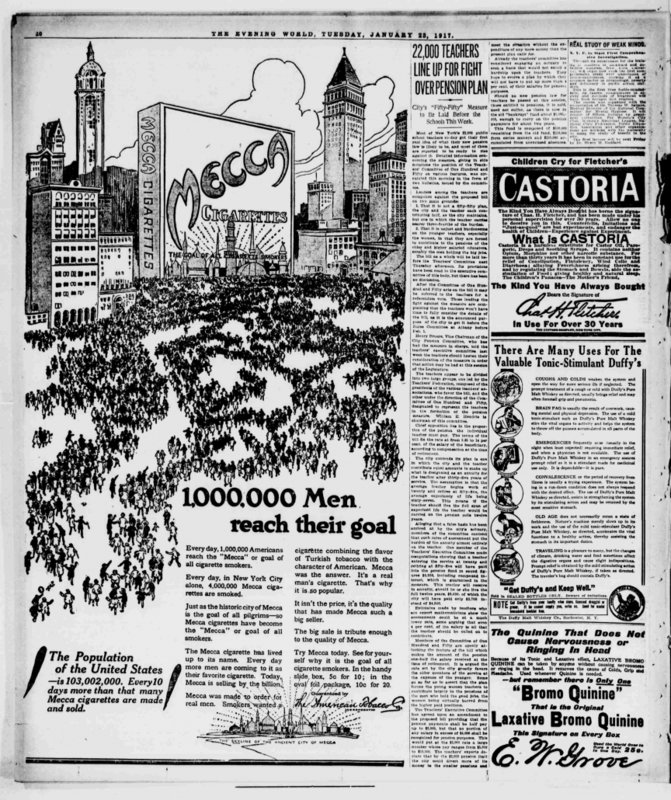 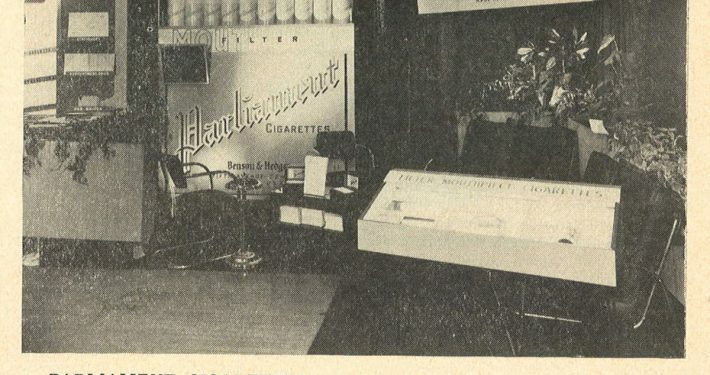 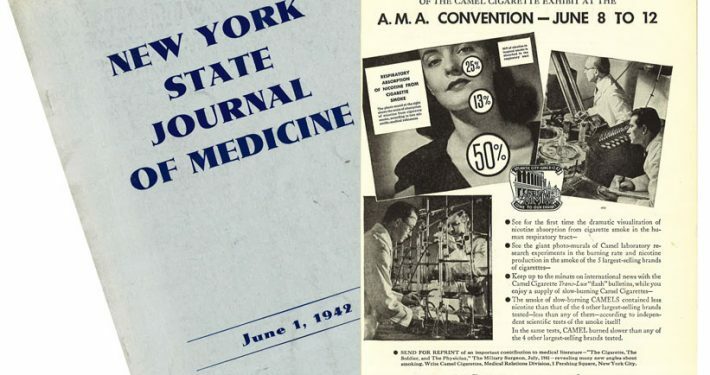 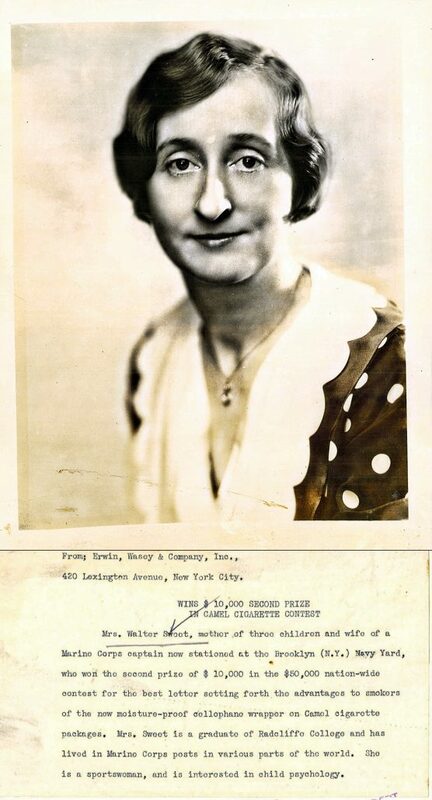 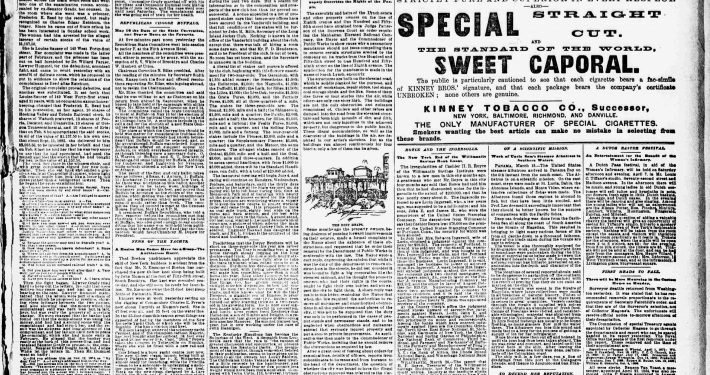 The funds for these shipments were raised in part by the Red Cross ladies auxiliary’s of medical societies and even medical association’s themselves, often the can was passed at movie theaters and some of these funds were sponsored by newspapers. 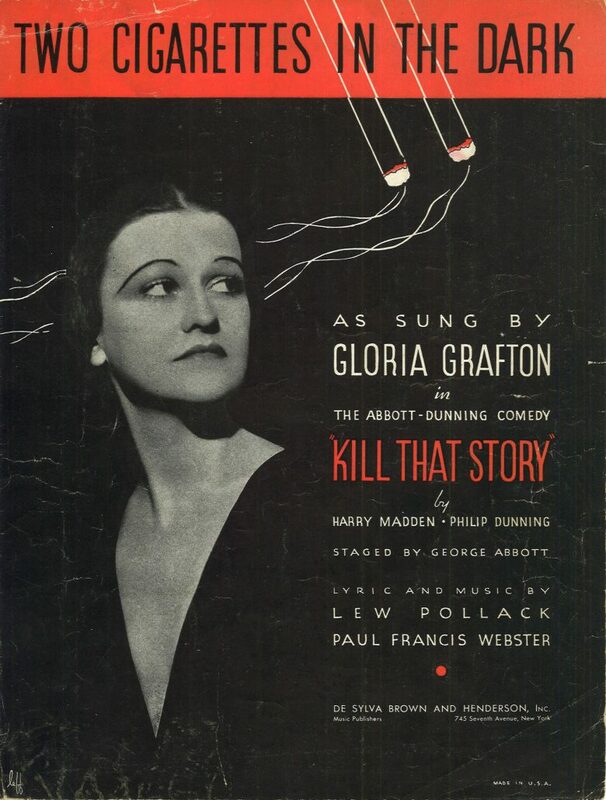 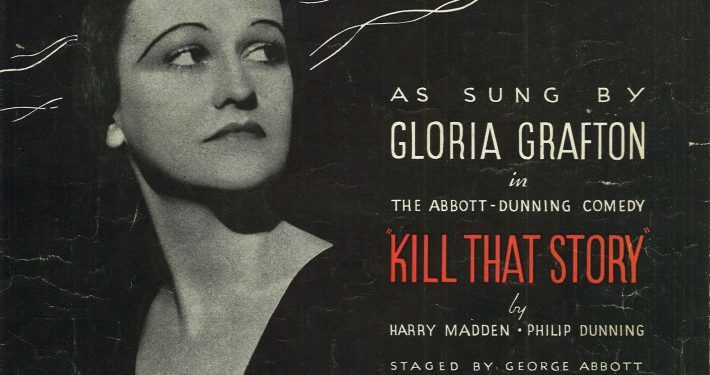 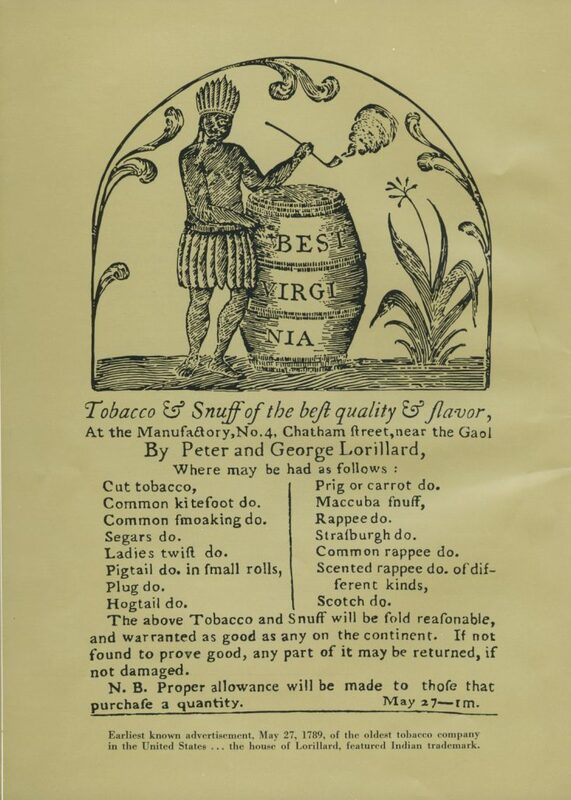 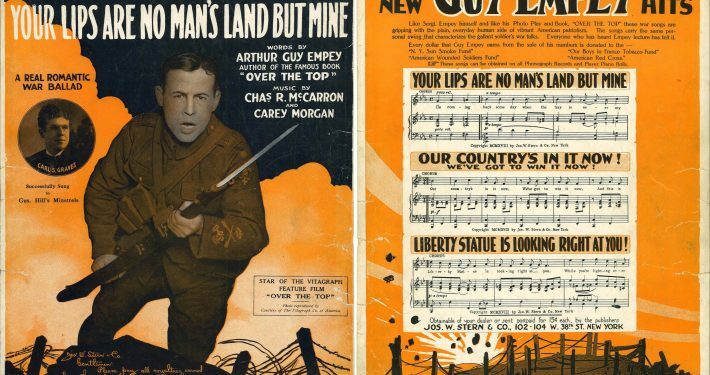 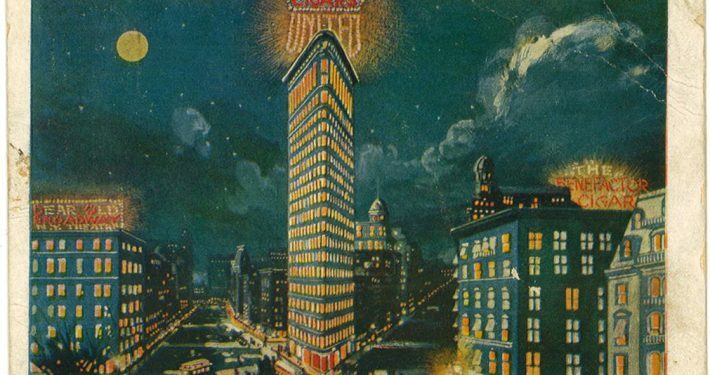 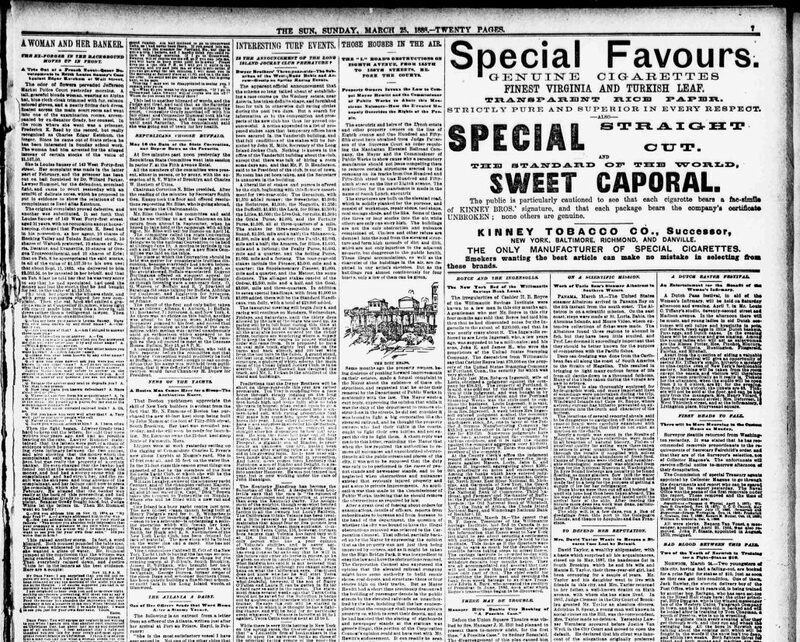 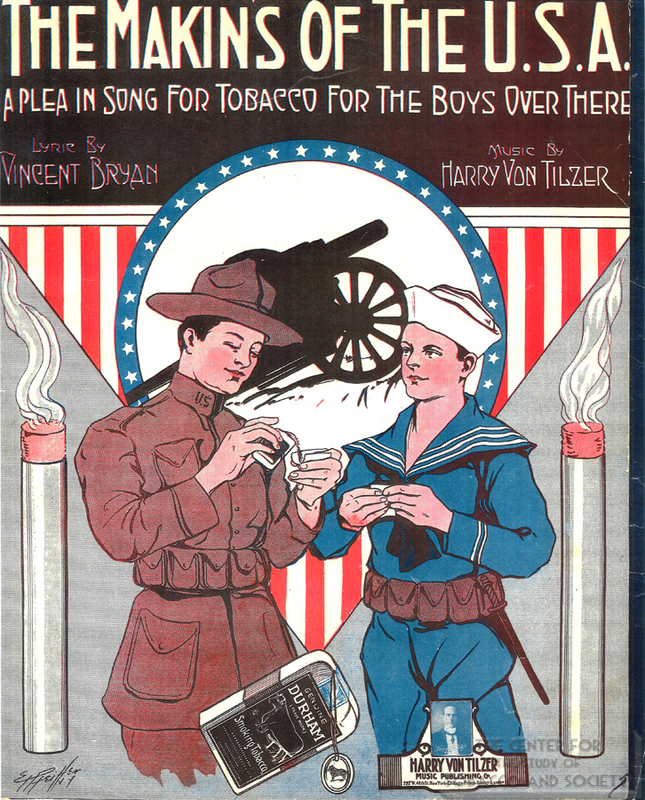 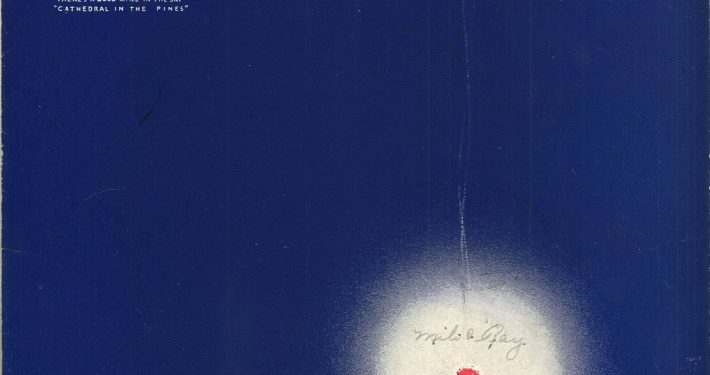 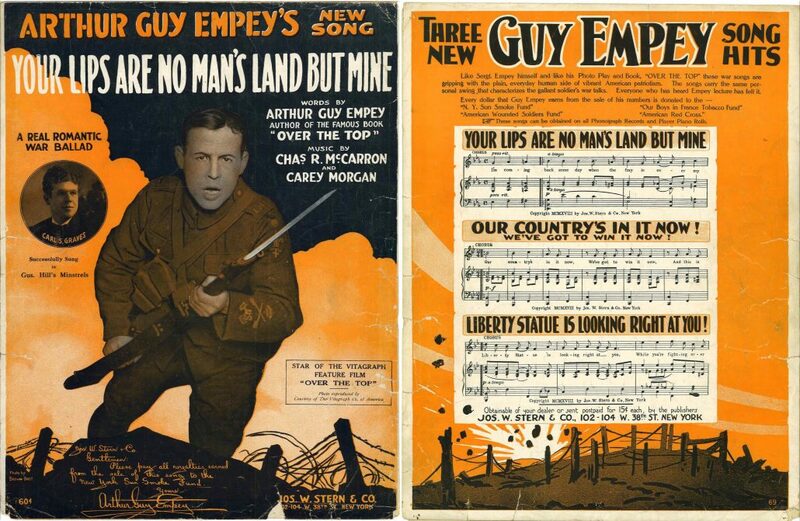 The sheet music that you see are examples of the most popular form of music at that time, and The Makings of the USA: An Appeal in Song for Tobacco for the Boys Over There, is a great example of this. 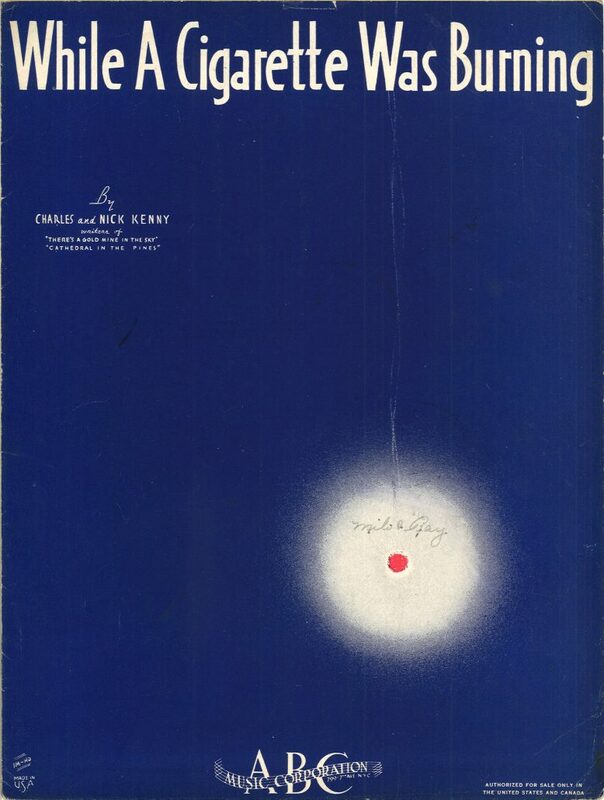 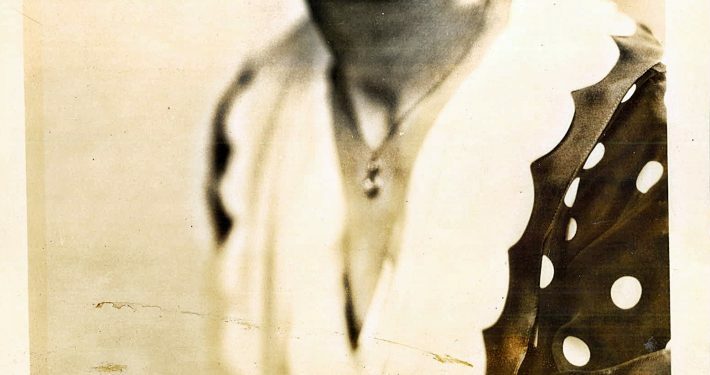 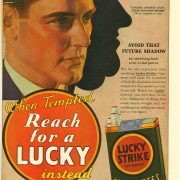 Other sheet music reflected the increasing romanticism of the cigarette, Two Cigarettes in the Dark and While a Cigarette was Burning, of course there’s Smoke Gets In Your Eyes and much later Sam Cooke’s Smoke Rings. 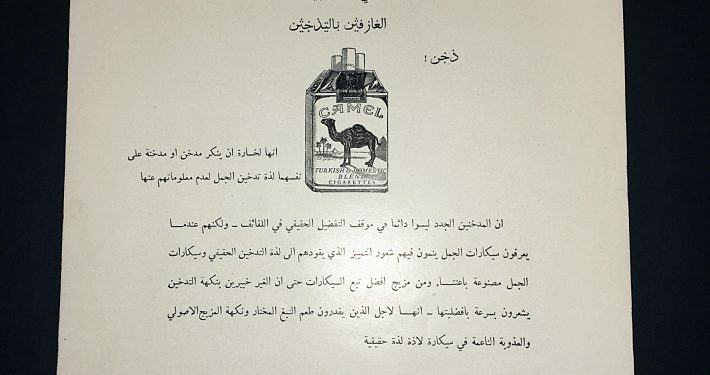 Mrs. Walter Swoot of Brooklyn, New York wins 10,000 dollars in a nation wide letter writing contest on the merits of moisture proof packaging sponsored by Camel. 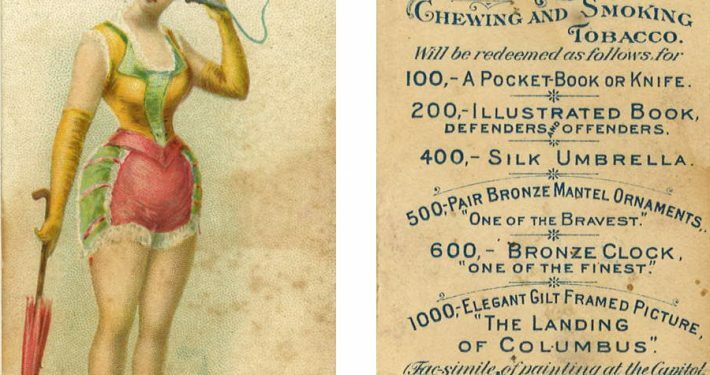 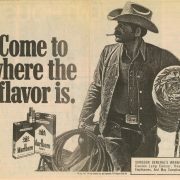 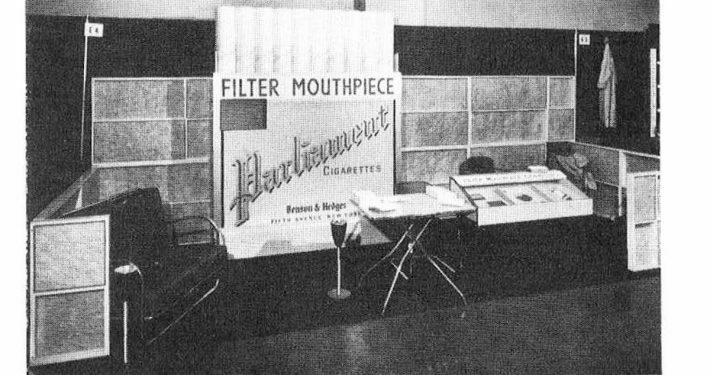 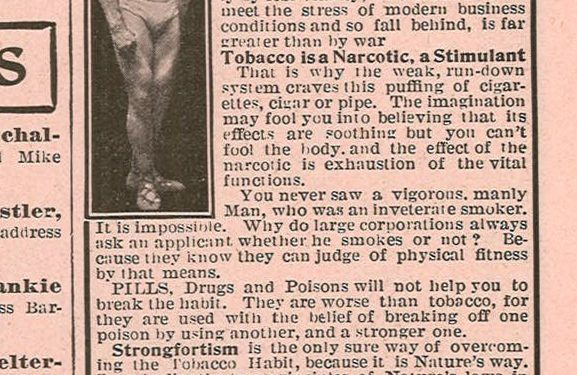 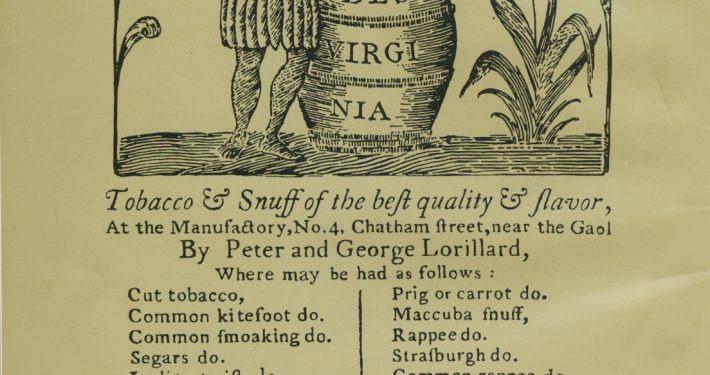 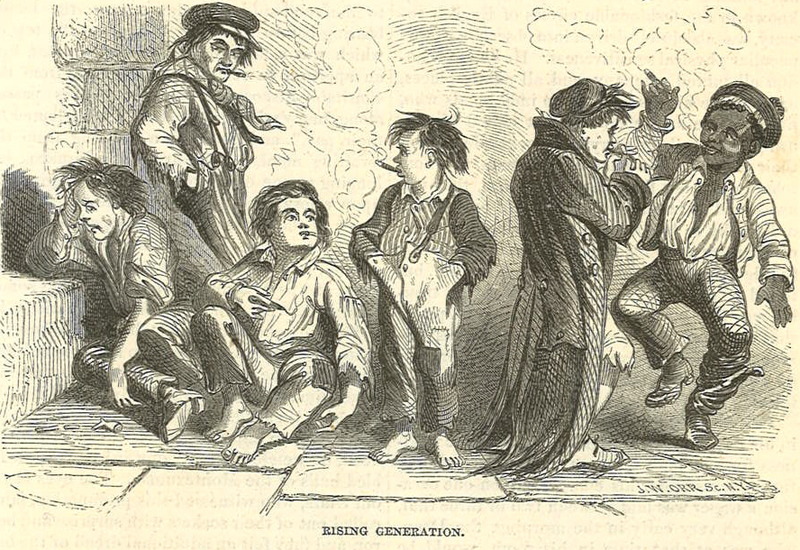 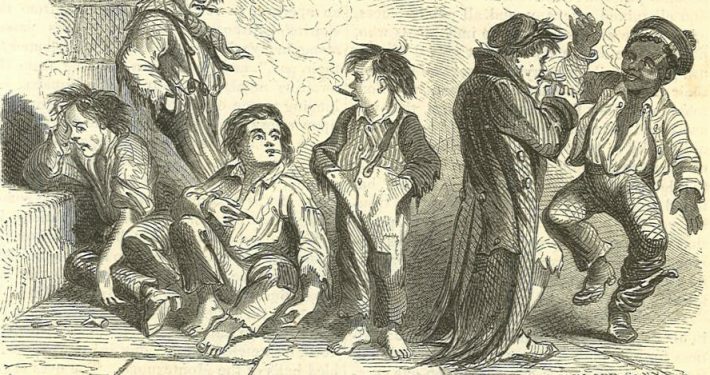 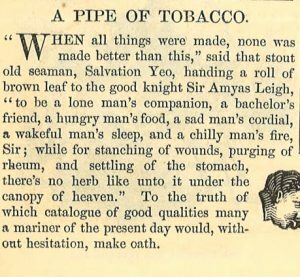 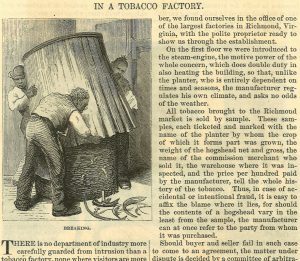 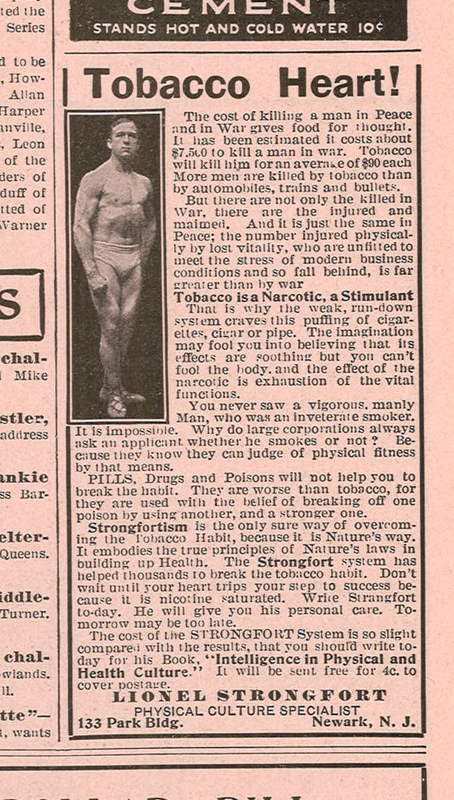 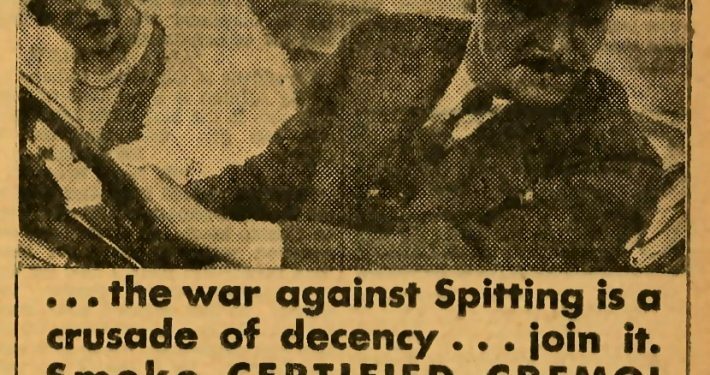 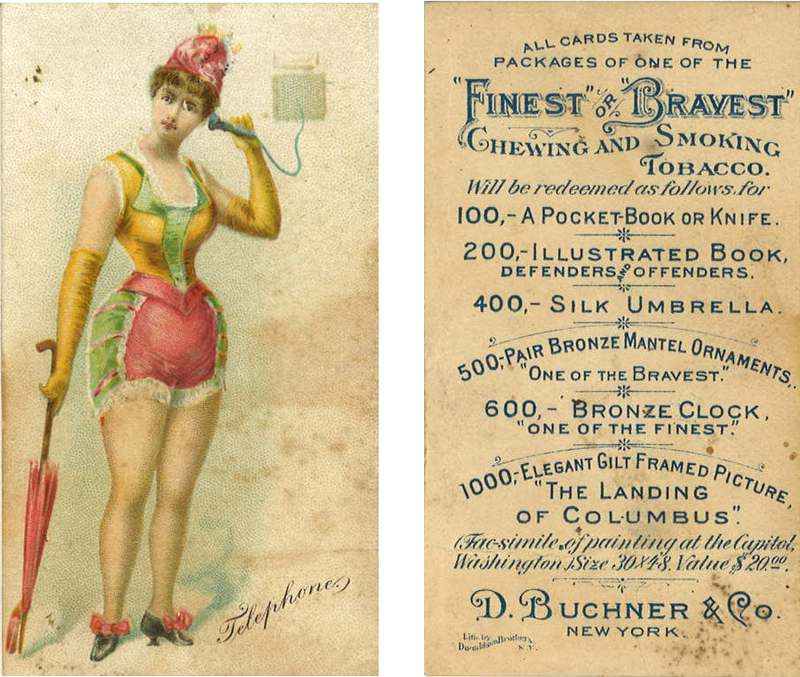 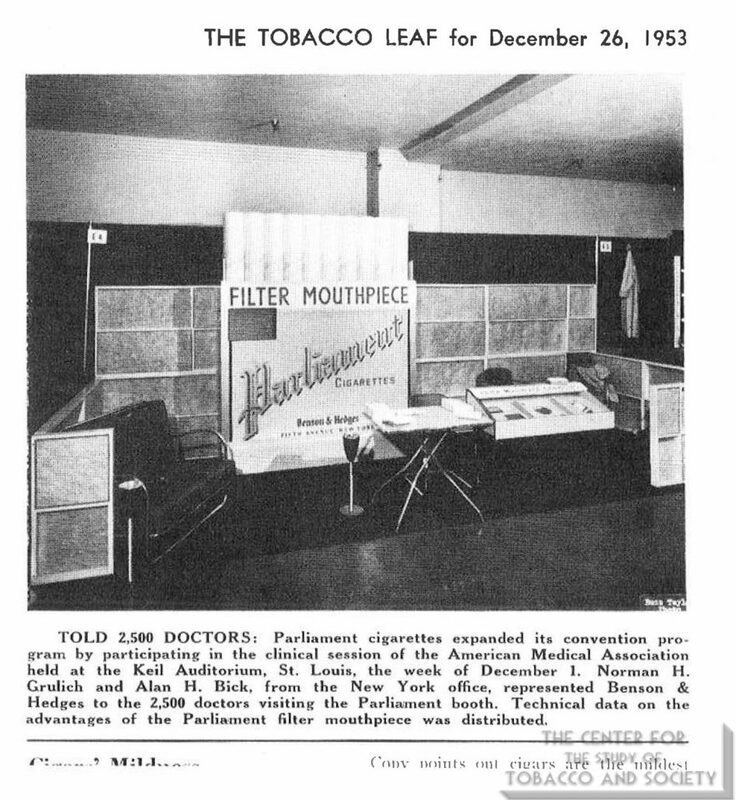 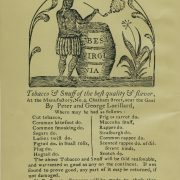 The “war against spitting” was a public health initiative against spitting tobacco, cigars and later cigarettes were considered “healthier” alternatives to chewing tobacco which spread infectious disease like tuberculous. 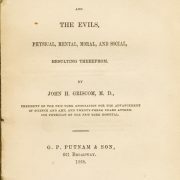 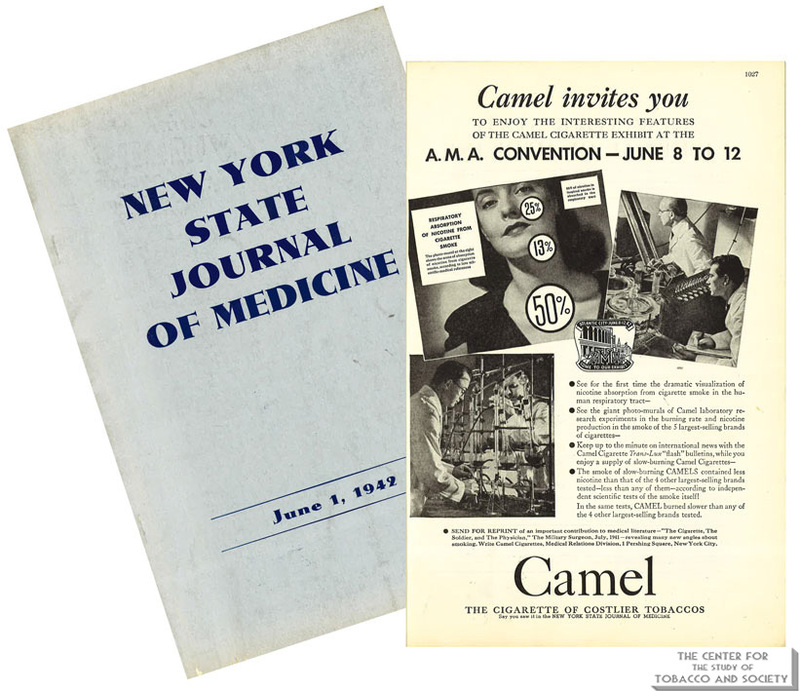 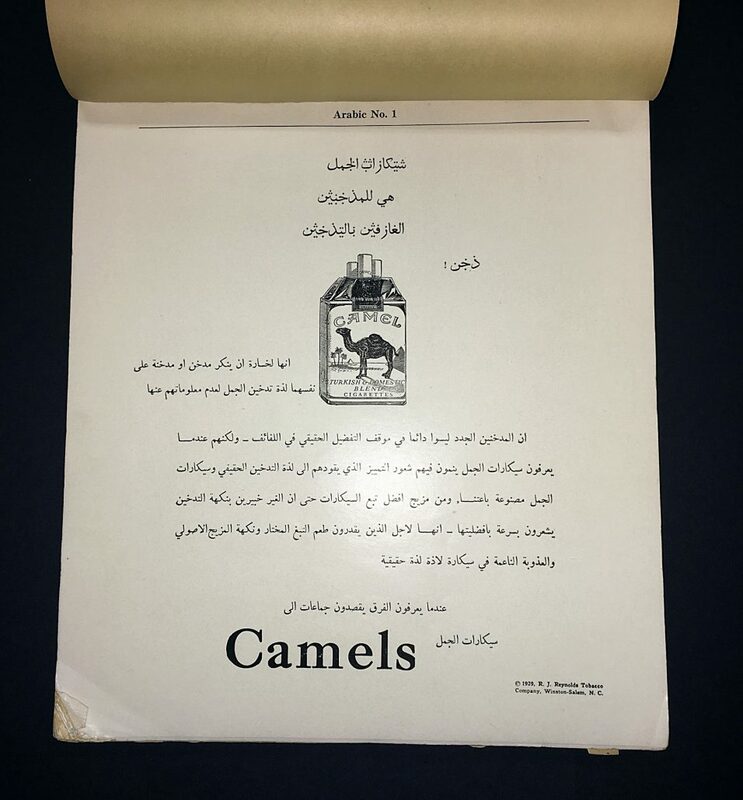 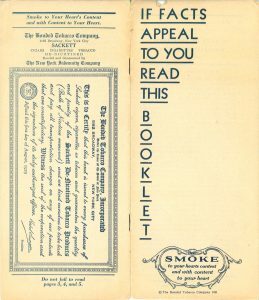 Salesman book printed in many languages used by representatives of the R.J. Reynolds company as they sold Camel cigarettes to the multitude of ethnic stores in New York City. 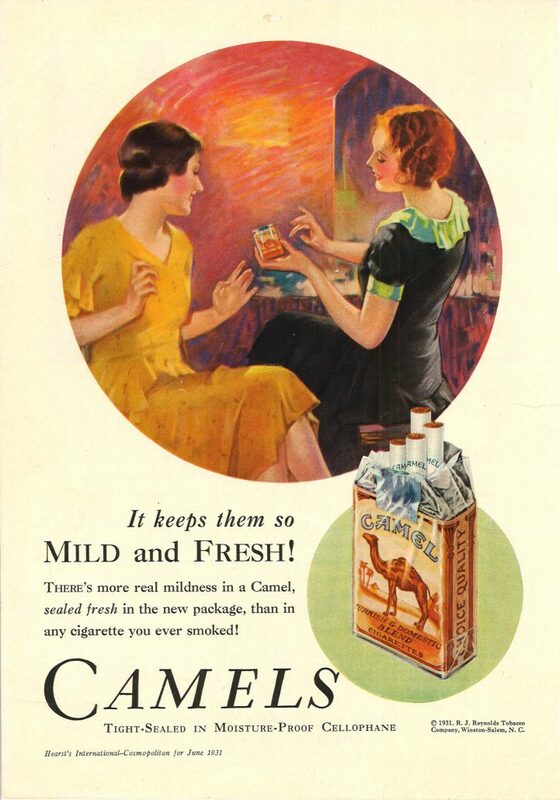 It keeps them so Mild and Fresh! 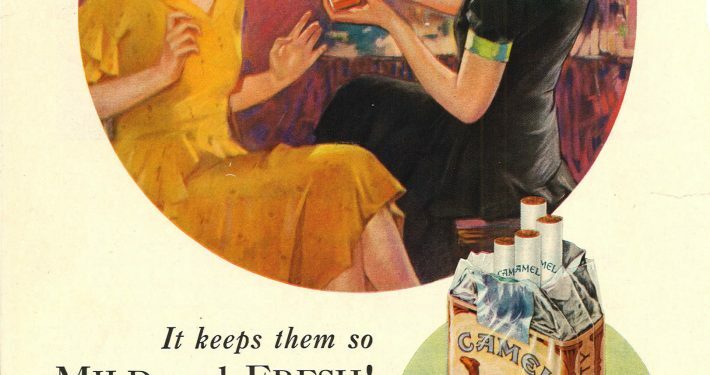 Camel Cigarette Ad touting Cellophane wrapping to keep out moisture. 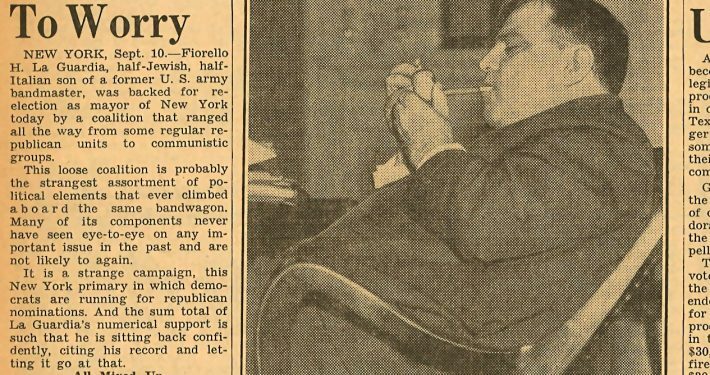 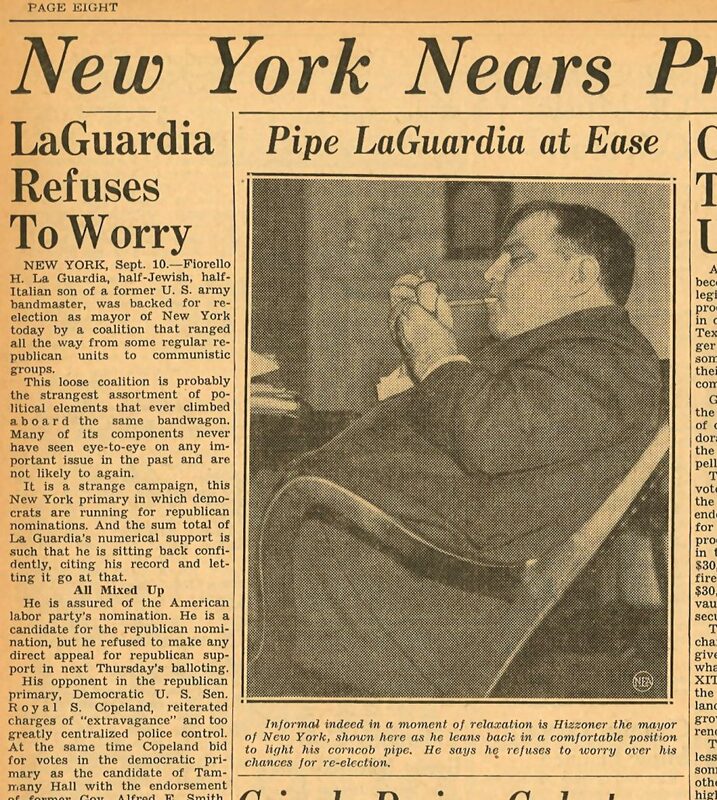 New York City’s Historic Mayor Fiorello LaGuardia smokes a corn cob pipe.